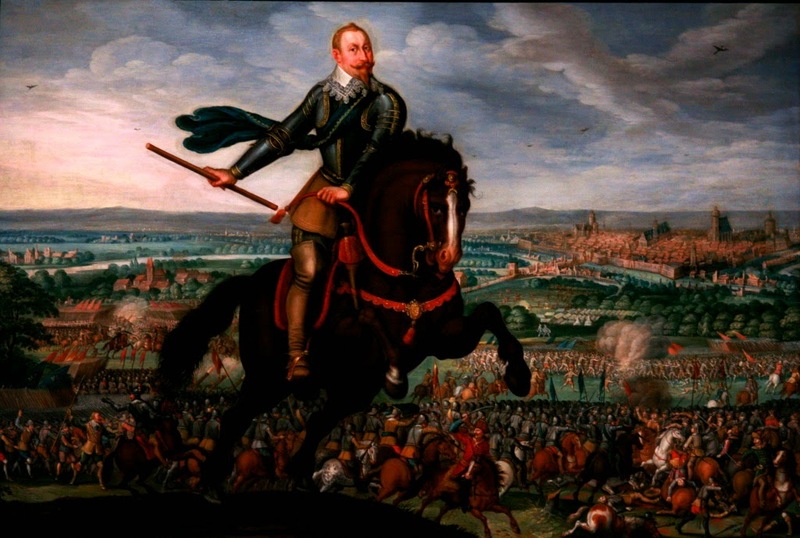 Gustavus Adolphus in the battle of Breitenfeld. Abstract : Today's military leader when asked, who was the greatest "Captain of Military History" would probably reply with the likes of Alexander, Hannibal, Caesar, Frederick, or Napoleon. These captains, while leading their exceptional armies, provided significant innovations in operational and strategic art that are still practiced today. Although these contributions are noteworthy, their changes were evolutionary, rather than revolutionary. Truly the most prolific revolutionary but least well known "Captain of Military History" was Gustavus Adolphus, "The Father of Combined Arms Warfare." A skilled and conscientious monarch, he created the grand army of Sweden which in the early 1630s during the Thirty Years' War, saved Germany from becoming a Catholic state under the auspices of the Emperor Ferdinand of Hapsburg. Gustavus' innovations and improvements in the use of field artillery, redesigned battle formations, streamlined logistics, use of cavalry as a shock weapon and improvements to musketry highlight the importance of his contributions to today's warfighter. This strategic research paper outlines in detail those innovations in warfare that are now part of the Army's fighting doctrine.